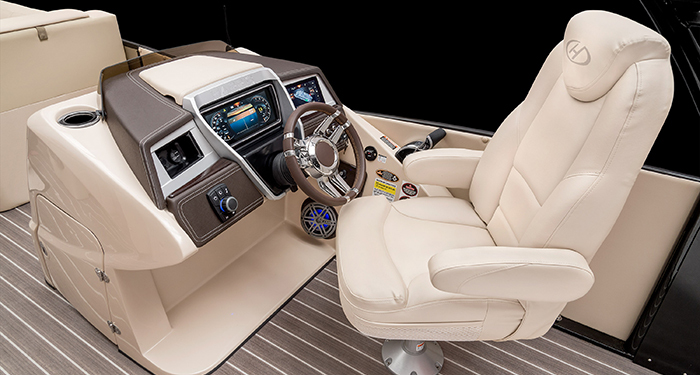 Gone are the days where we had to choose performance OR comfort. 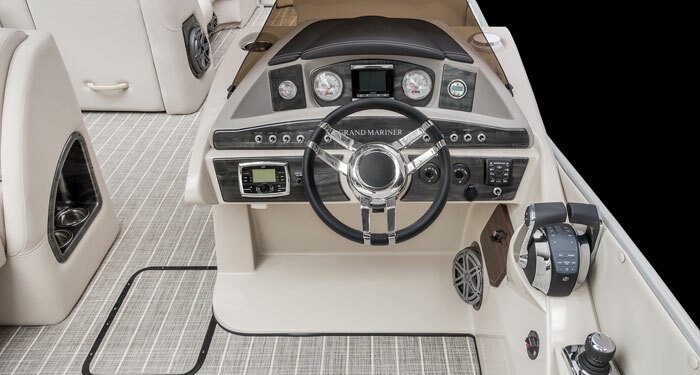 The Grand Mariner SL 250 Twin Engine provides both in excess. 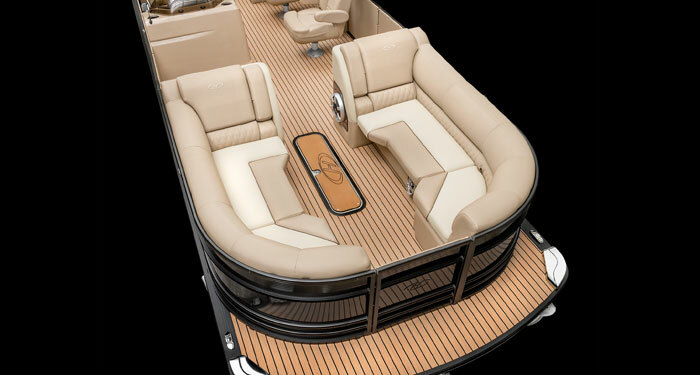 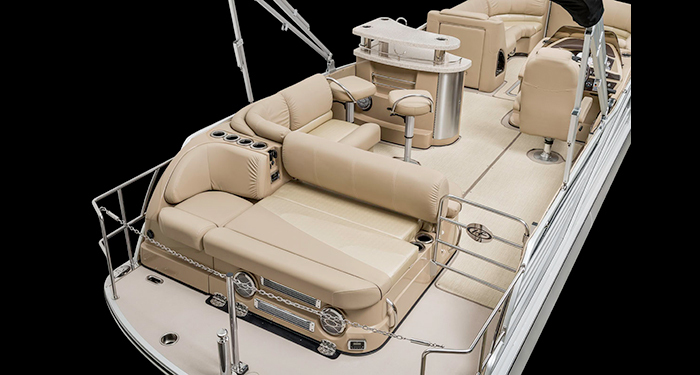 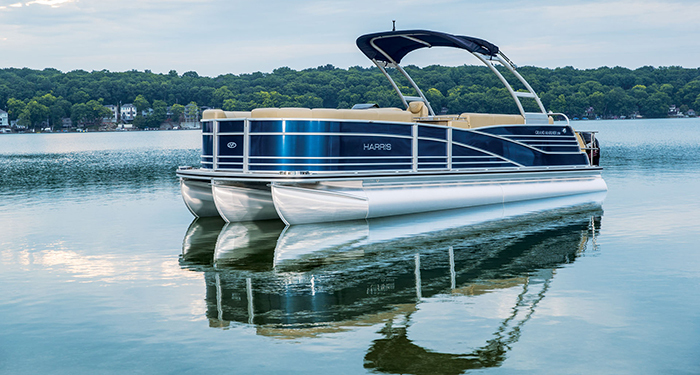 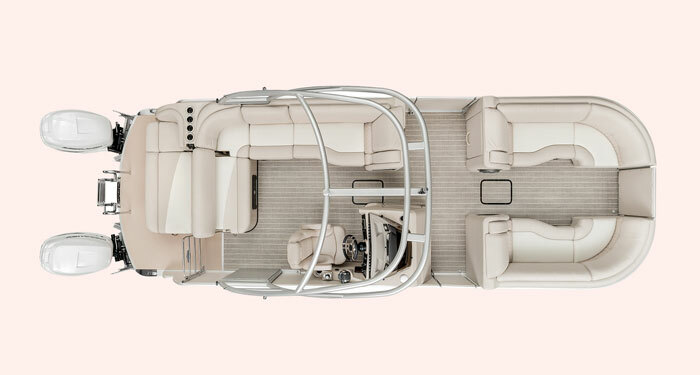 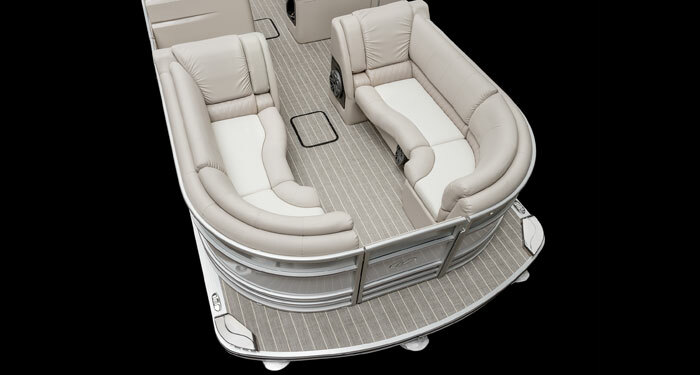 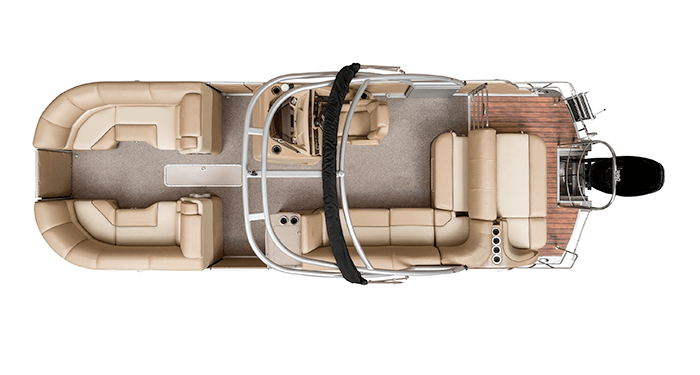 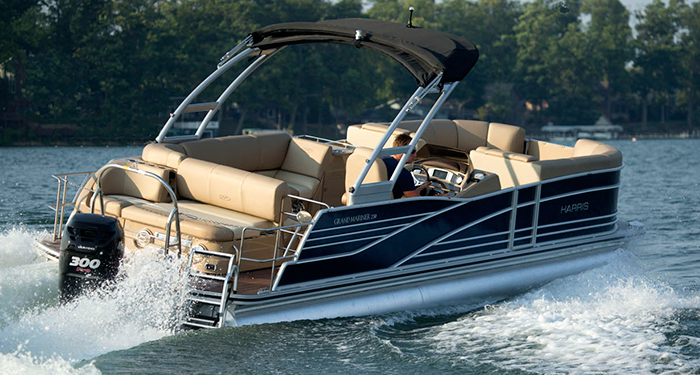 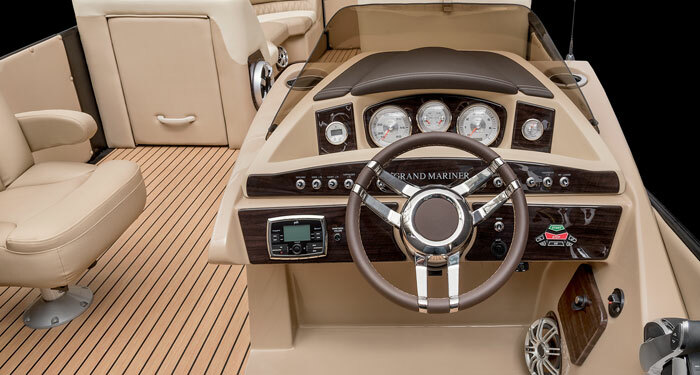 With the SL floor plan, you’ll enjoy two plush bow lounges, a comfortable amidships lounge, an UltraLux high-back reclining helm seat and a single rear-facing lounger with reversible backrest. 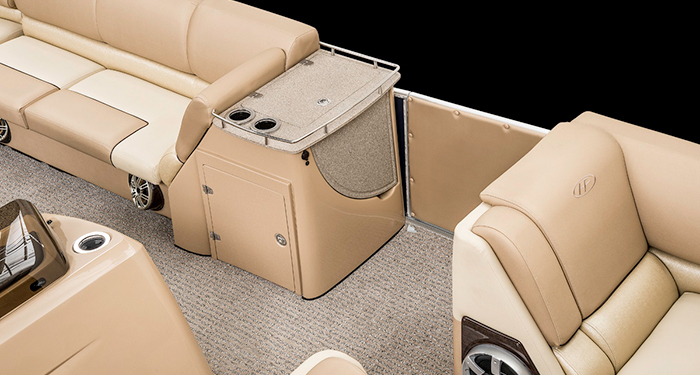 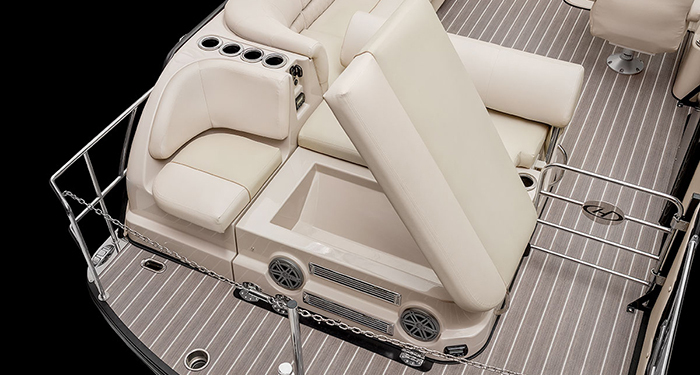 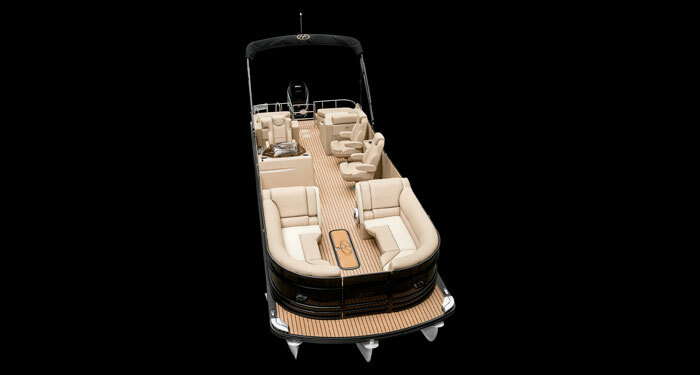 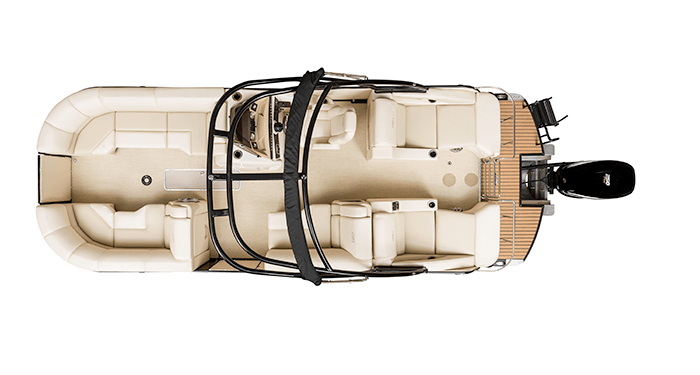 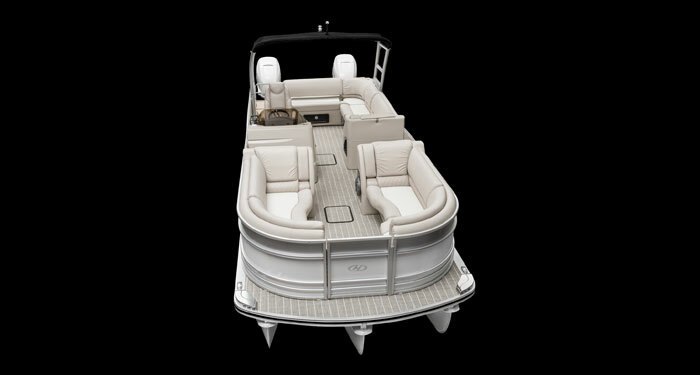 A 12-foot Bimini top, soft-sided cooler, swim deck with four-step boarding ladder and six-speaker Polk® stereo add to the creature comforts; as do the stainless steel grill, entertainment centre with optional refrigerator and even an entertainment galley with bar stools, sink and wine cellar. 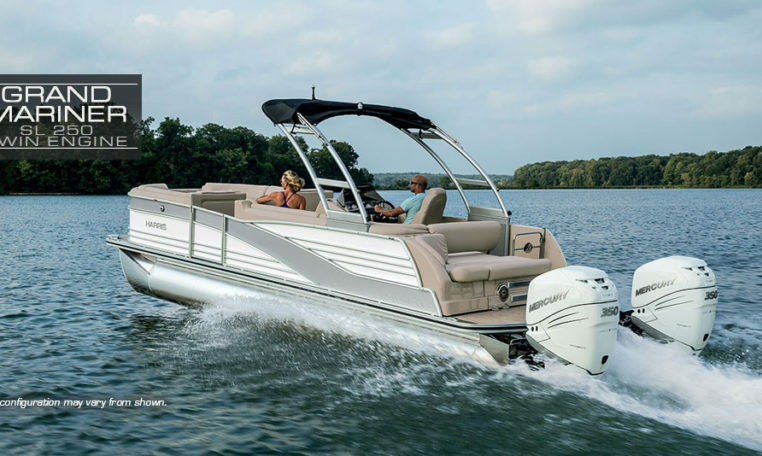 Great lengths have been taken to ensure the safety and stable performance of the Grand Mariner SL 250 Twin Engine, such as three 27-inch diameter reinforced pontoon tubes using 0.125-gauge aluminium and a 93-gallon forward-mounted fuel tank to minimise bow rise.